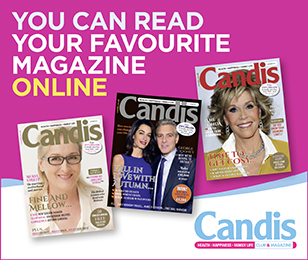 This benefit is only available to Candis Club members. If you are already a member please login at the top of the screen to access this benefit. If you are not a member please subscribe. Candis Member Benefits have teamed up with Autohome to offer you the chance to save money on your breakdown coverage. It is easy to underestimate the value of breakdown cover until you find yourself stranded, miles from your destination. According to statistics, Britain’s vehicle breakdown services are called into action around 20,000 times each day. Without cover, roadside recovery can be very costly. It has always been Autohome’s aim to provide a better service for their members than anyone else. Their enthusiastic and dedicated staff maintain a high standard of customer care and service where cover is available for all types of vehicles including cars, vans, motorcycles as well as mobility scooters and powered wheelchairs. Prices correct as of 17th June 2015. Where necessary prices are for a 40-year-old woman, living in Surrey, driving a 2010 Mini One, with an estimated mileage of 10,000-14,999 per year. *Save up to £13.86 off breakdown cover with Autohome UK Plus compared to RAC – Solution 1 with online discount. ** £3.15 per month is for the Roadside Plus basic level of cover, which includes recovery of up to 20 miles. UK Plus is designed to provide all round protection, offering the benefits of expert assistance at the roadside and the security of knowing that if recovery is necessary, both the car and passengers can be recovered to the home address or destination. Cover extends throughout the UK and the average call out time is just 40 minutes. One of the UK's leading MOT, tyre, repair and car servicing specialists. Is personal debt giving you sleepless nights? Call the Freephone Candis helpline.